What should have been an exciting school outing came to a devastating end when one of the youngsters died after tumbling off one of the rides. What should have been an exciting day out for the pupils from Jameah Girls Academy came to a devastating end when one of the youngsters died after tumbling off one of the rides. 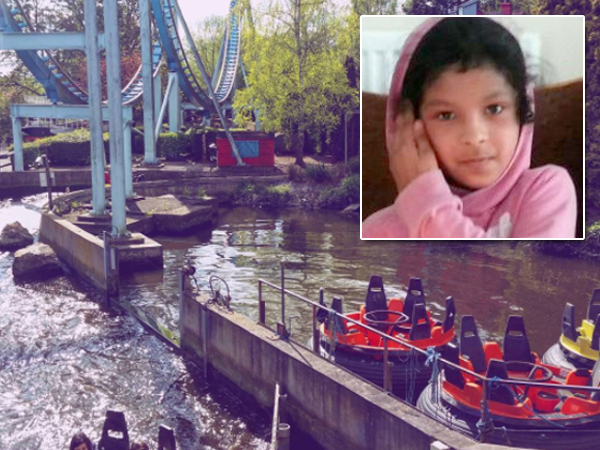 Evha Jannath (11), from Leicester in the UK, was on a school excursion to the Drayton Manor theme park with her friends, when she fell out of the tube on a river rapid ride. The youngster stood up to change seats and lost her balance. She fell off the tube and was dragged under the water by the current. Evha suffered serious injuries and according to police, she was airlifted to Birmingham Children's Hospital and died shortly after. Little Evha's family said in a statement that their world has been "torn apart" by the loss of their "beautiful little girl who was full of love and always smiling." A friend told MailOnline that Evha had nearly missed the outing to the theme park as she had been sick days before. "For the past few days I don't think Eva had been going to school because she wasn't feeling well," said Talha, whose sister was on the tube with Evha. "She came back in today for the trip but she wasn't wearing the right clothes. It was sorted out and she went with everyone else. "It's so tragic that she went then didn't come back. My sister was still in tears when I got home. She was back after seven o'clock." The school and Drayton Manor closed on Wednesday as a sign of respect. The theme park also closed to launch a deeper investigation into what went wrong.